Before we had even landed in Sydney, there was one place that we had underlined as a must-visit. The problem was, it isn't open to the public. 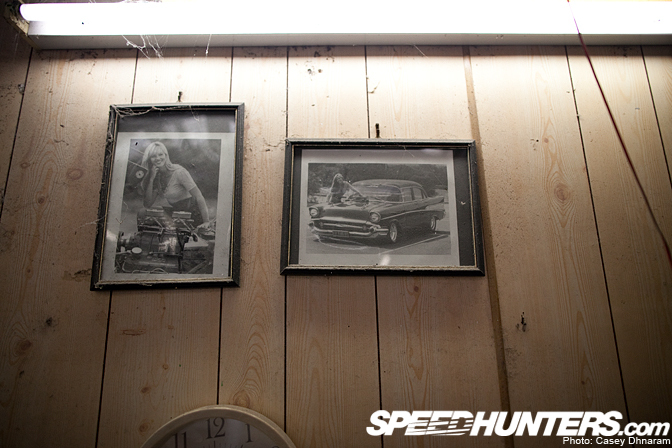 I'm talking about the private garages of the Jones family, of FAT57 fame. 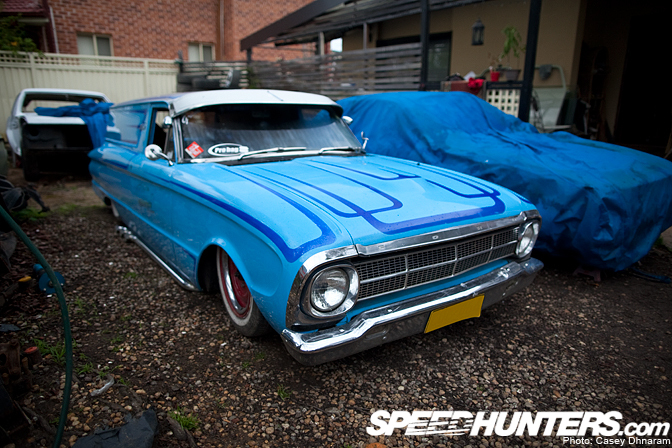 Mark Jones and his two sons, Beauman and Harley, have built an amazing – and truly diverse – range of customised cars. 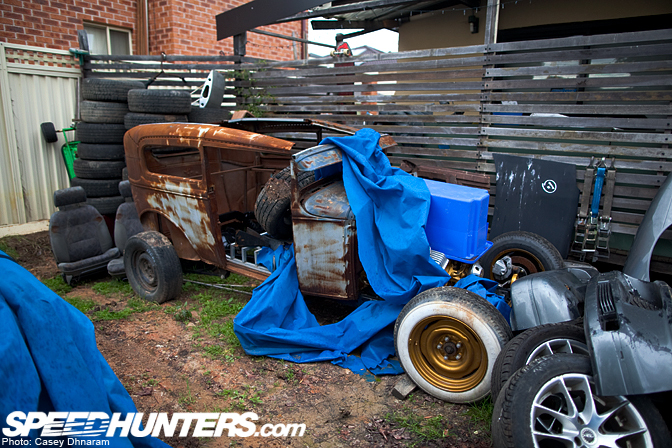 On our last day of shooting in Sydney, the Jones family opened up the FAT57 gate and gave Speedhunters an exclusive look into their lives. Father Mark Jones has built over a hundred cars and is undoubtedly most famous for the FAT57 Chev (more on that later) that was displayed at Carroll Shelby's 80th birthday before later being auctioned at Barrett-Jackson in the States. 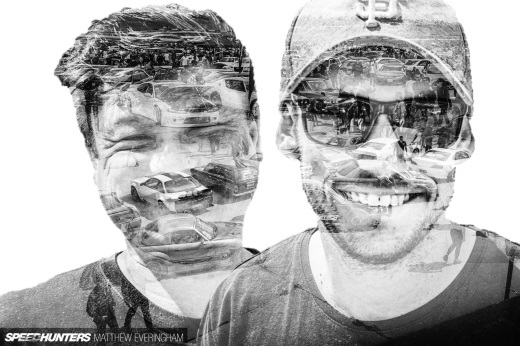 His two sons, Beauman and Harley, both share his undying passion for cars and this is reflected by the countless projects that they are working on in their backyard. 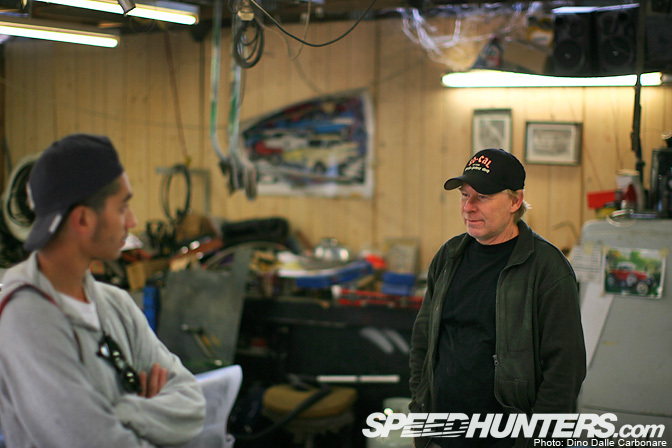 Everything from hot rods to sleds to drift cars have been created by the hands of these three guys. Upon arriving, Dino and I knew we were at the right place by the two black demons that were parked – or should I say lying – on the street. 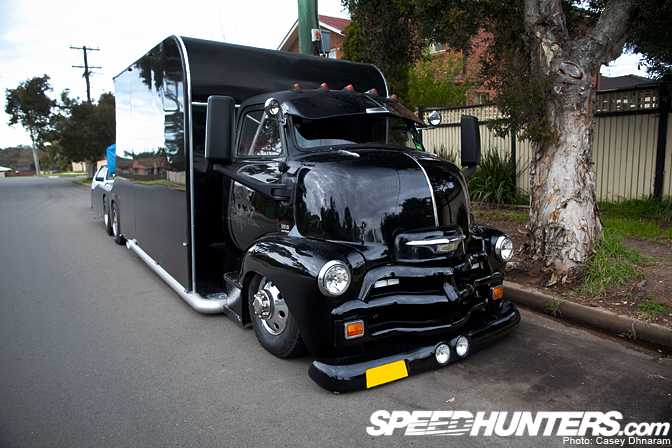 This machine is Mark's transporter, a 1954 Chev COE (Cab Over Engine) which was imported from the USA. 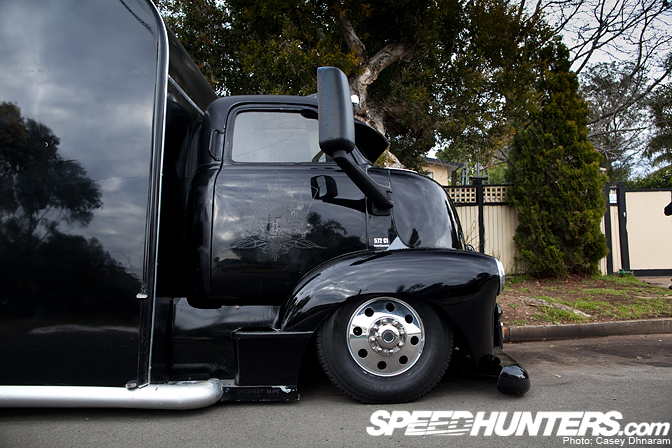 The truck has been completely transformed with a custom chassis and drivetrain. It's currently driven by a big block running on LPG, with full living quarters in the rear including three beds, a stereo system that will burst your ear drums and more electronics than you could imagine. This beast is used to tow all the show and drift cars but it's currently out of action awaiting a rebuild. 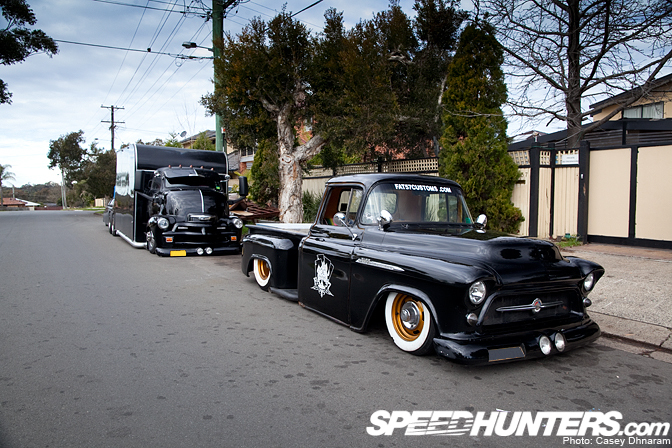 The car you saw in the opening photo is Beau's 1956 Chev pickup, which is quite rare in this neck of the woods. 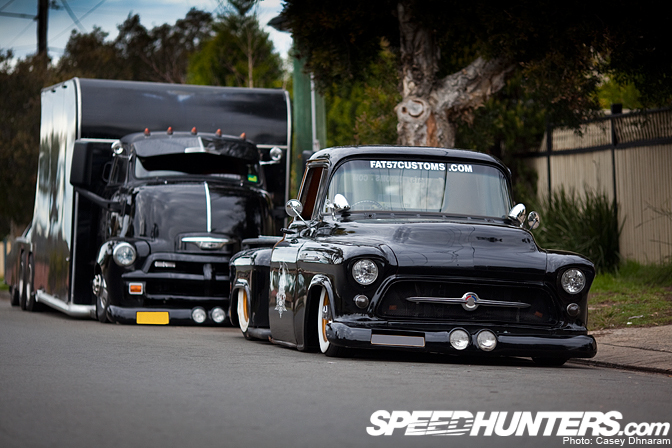 This pickup is his daily driver, and features a small block, custom chassis work and air bags. 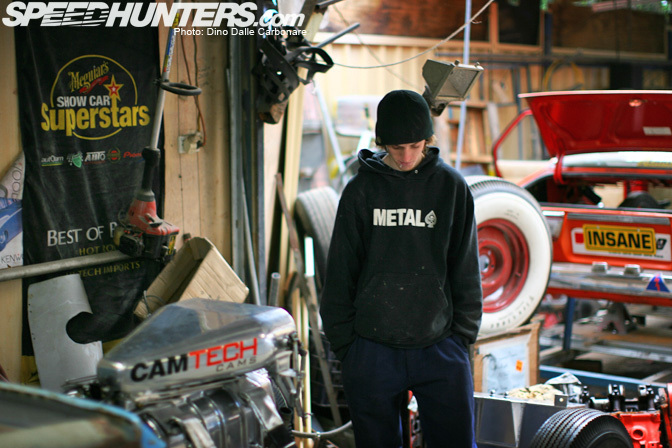 This little Mira is one of the many cars that youngest son Harley owns. It's a great car to get around town in when the project cars are being worked on. 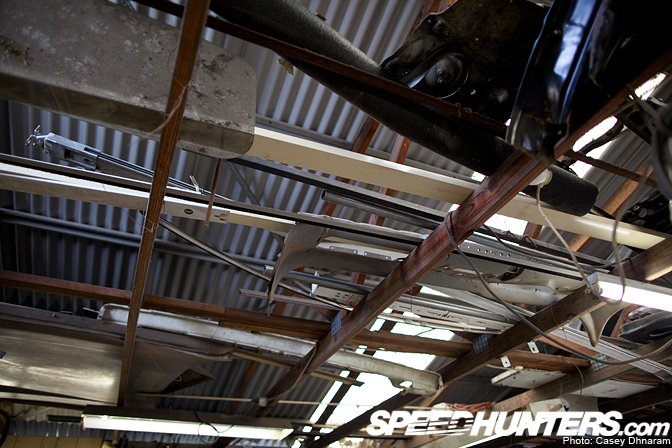 …which meant an engine conversion is currently in progress. 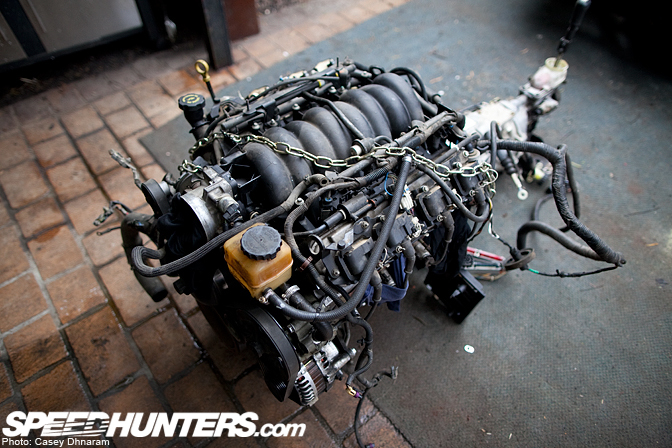 This LS1 is what will be dropped into the Silvia's engine bay. 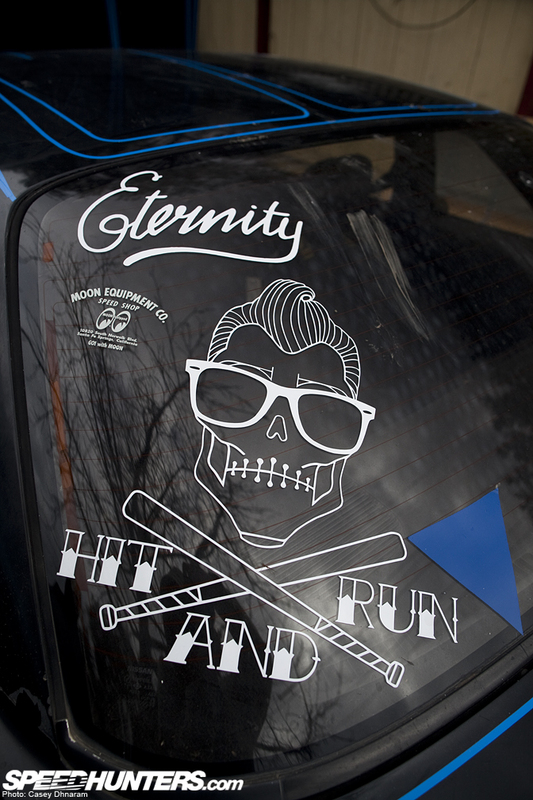 Hit and Run is the drift club that Beauman is a part of. This Ford XM delivery wagon was purchased around five years ago. 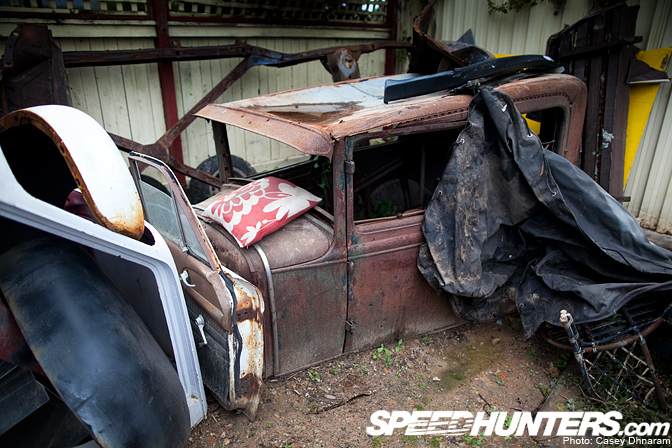 Beau and Harley spotted it sitting in someone's backyard and shortly after it was purchased as Harley's first daily. 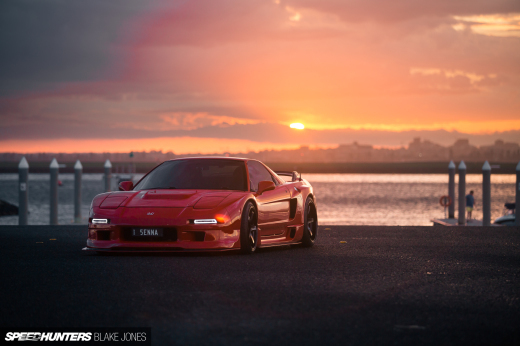 The Jones family changed the rear clip, added airbags and gave it a custom paint job. The old school Ford is currently running a W58 gearbox out of a Toyota Supra. The engine is currently dead but Harley has a full rebuild coming up very soon. All the components are still in full working order believe it or not. 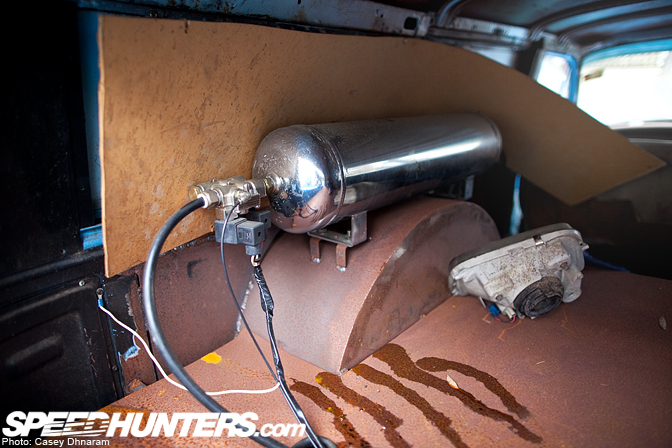 In the trunk are the tanks and solenoids for the air bags. Wild Child Customs is Harley's business name. 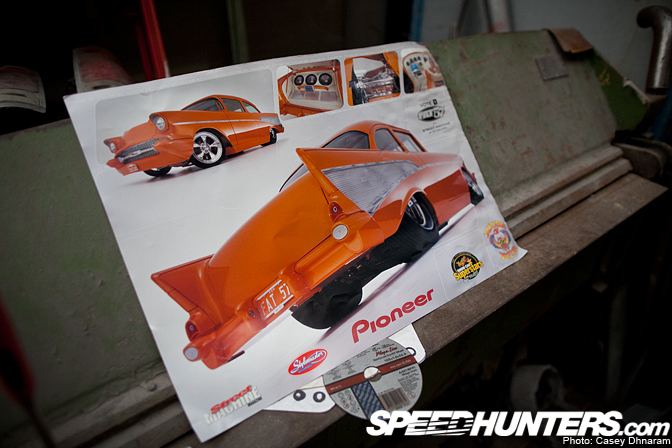 The car has been sitting in the yard for around six months as he's been too busy with work to wrench on the Falcon. Looking around the yard there are many interesting projects such as this 1930 Model A Tudor which will eventually be receiving a full restoration. 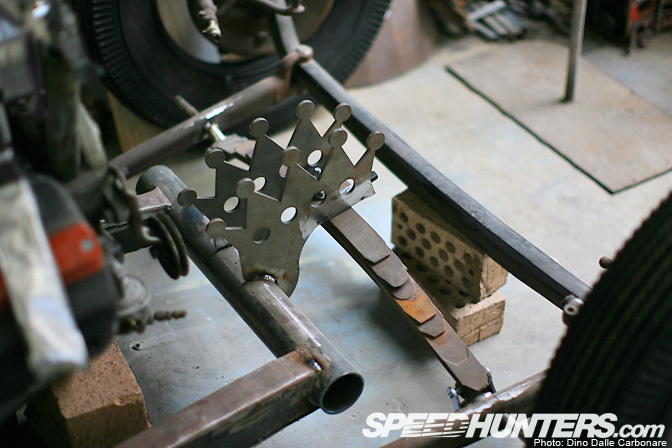 Imported from the U.S., this will be Harley's salt lake racer that will have a 9" chop and a big block. Inside the garage was this 1954 Chev truck. 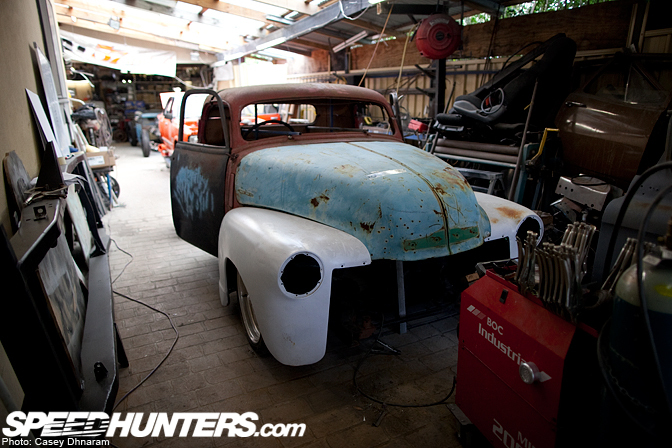 The Jones family are currently working on it, and when completed it will have a roof chop, Z'd chassis, tubed rear end, 427 big block on LPG and 15×8 and 15×12-inch rims. I can't wait to see this when it's completed! 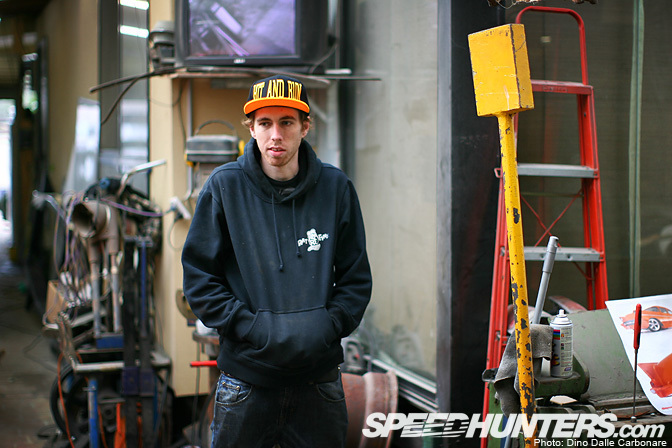 Here is Mark Jones – the founder of FAT57 customs and the leader of the pack. The amount of awards and achievements this man has earned is staggering. 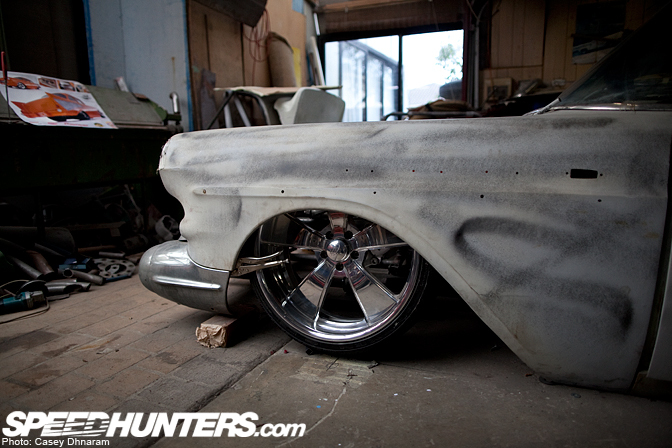 He's certainly one of Australia's most well known car builders. This 1930 Model A is Harley's crown jewel. He originally built this when he was 16 years old. 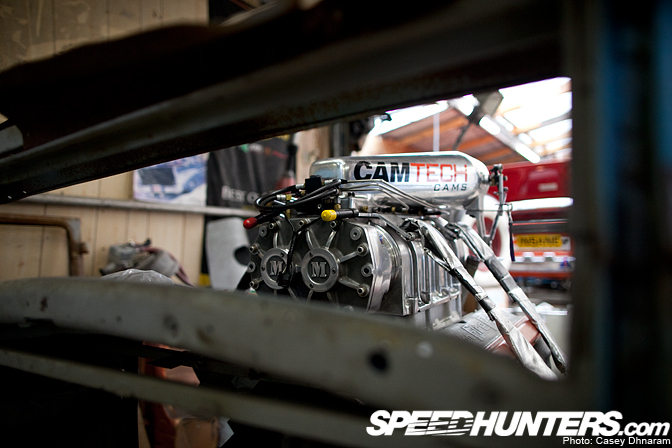 …As the engine that will power the Model A is a 331 Hemi with a 6/71 supercharger, Hilborn 4 port injection, big cam and auto trans. 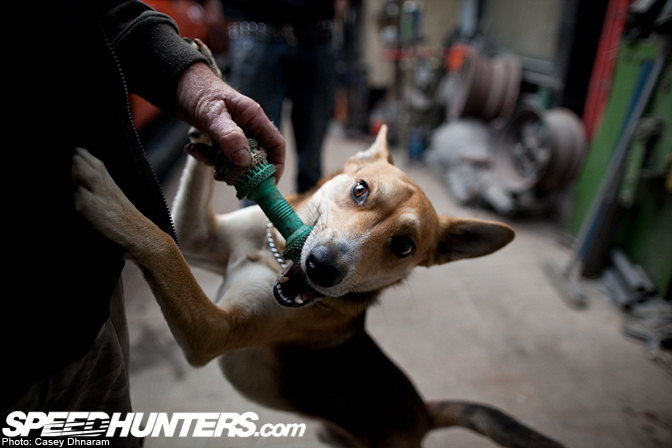 Harley is aiming for 800hp. This is what the view is from the pilot's seat. Suicide front end, enough said. And here's the guy responsible, 21 year old Harley. And this is the eldest son, 25 year old Beauman Jones. 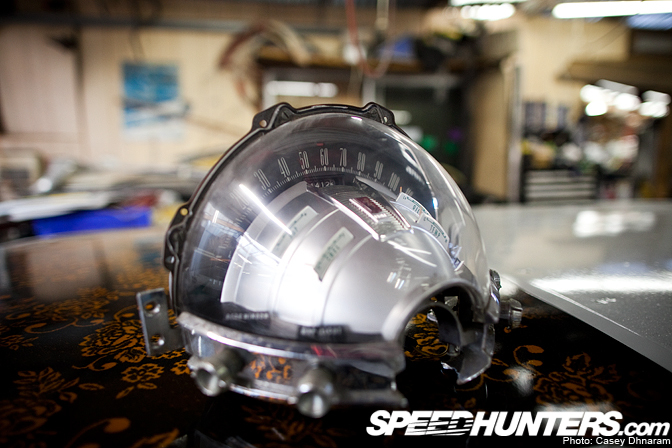 The garage is littered with interesting parts for upcoming projects, such as this rare speedo. 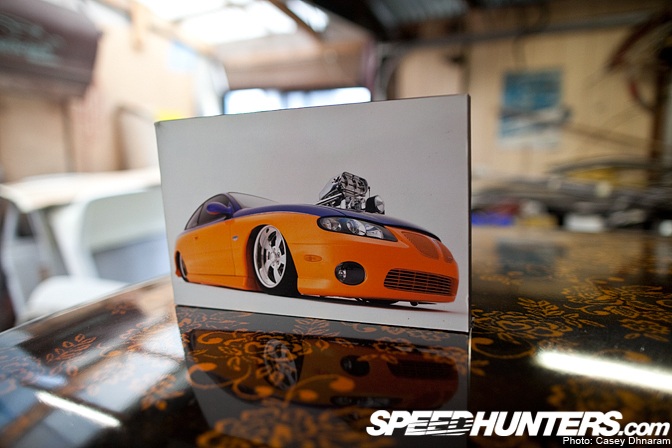 This is FATGTO, an exhibition car that Mark Jones built for GM, ACDelco, Pioneer, House Of Kolor and Intro Wheels. And this is the famous FAT57 that was later brought over to the U.S. where it went under the hammer at a Barrett-Jackson auction. It must have been a tough car for the Jones family to let go of. 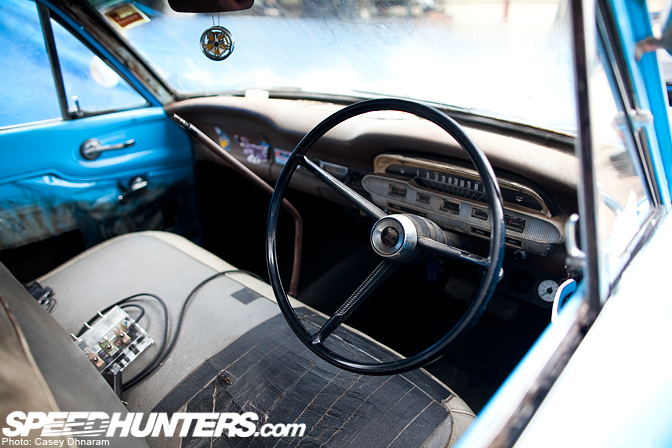 Over two decades ago, the boys were brought home from the hospital when they were born in this car and Beau still recalls being dropped off to his first day at school in this machine. 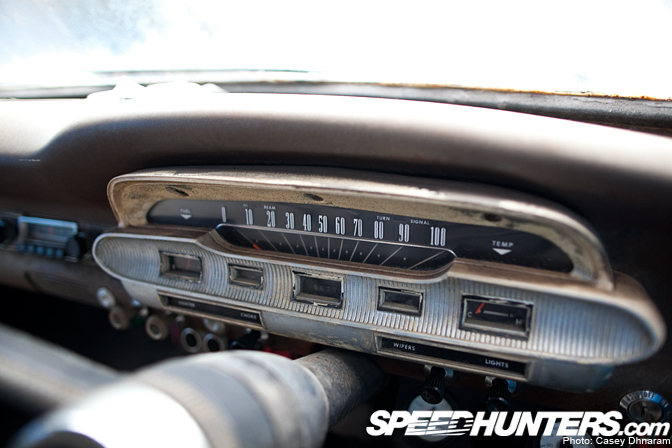 There's an intriguing story behind this Chev, so if you haven't already, be sure to check out the Speedhunters Guest Blog that Beauman did a while back. 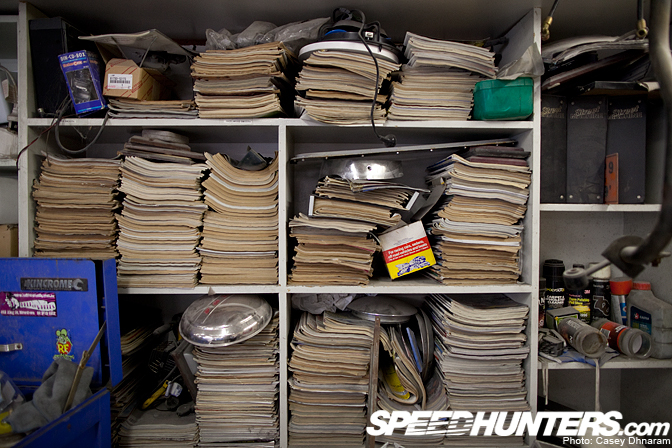 …And shelves full of old magazines. Spider webs accompany old black and white 35mm film photos of the FAT57 beast. With so many cars in the garage, space is now at a premium. Parts are stored wherever there is room, such as above. 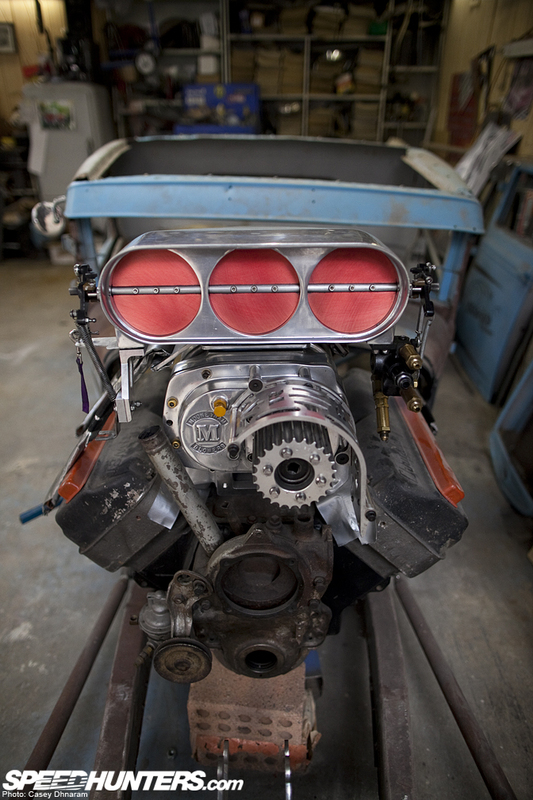 This KE55 Corolla was a burnout car owned by a friend and runs a blown small block fed with methanol. The owner was involved in an accident recently, and the Jones family are helping him out with a new chassis, frame, steel work, tubs and a full roll cage. We weren't allowed to show you too much of this particular car, which will be their next big project. What would a family be without a pet? This is 18 month old Cash, a kelpie. So there you have it: an inside look at where the FAT57 creations are born. The Jones family are true artisans, and it's amazing to see the father and sons building so many different projects in their own backyard. Cool. 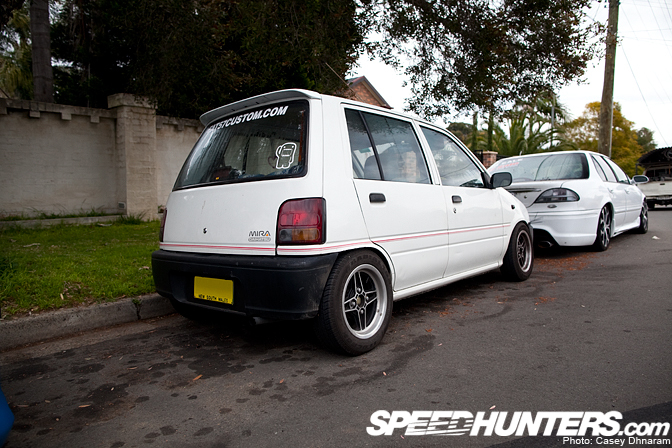 Them boys are living the dream right there building showstoppping cars in your backyard. Haha good feature! I built that mira aswell! I would give anything to spend my life working in such an environment. Great stuff! 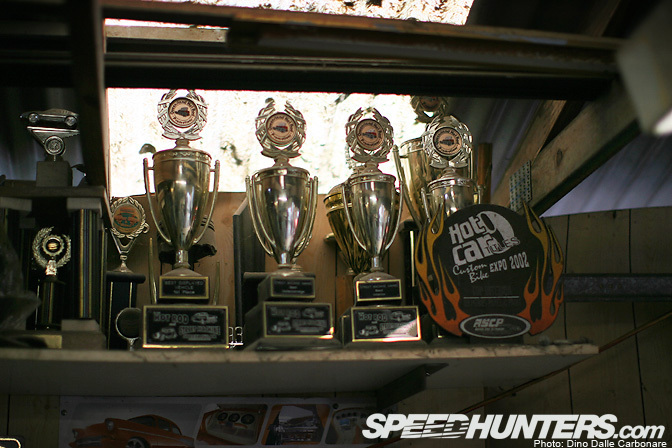 Great write up, its so refreshing to see a normal backyard where the majority of time has been spent building world class cars! Keep up the good work Jones's! Can we get a 2nd part, showing a bunch of their creations? Heh, can almost see my house in the first shot. what's with the rear end of that truck? Stoked on Hit and Run coverage! nice car! and nice metal bikes hooded! Poor SR20's, it wont be long before it'll be rare to find an s13 that doesn't have an ls1 in it, I hope that FAD ends soon..